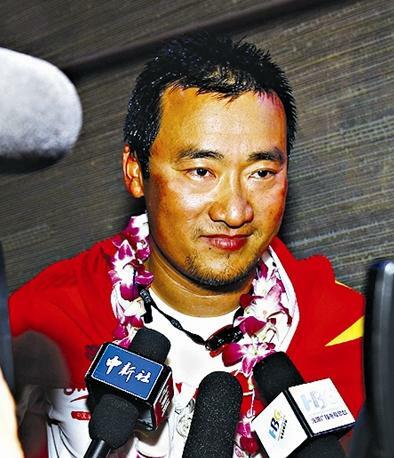 Teng Jianghe, a 37-year-old entrepreneur, is the first Chinese sailor to compete in the Volvo Ocean Race. With only 2 years of yachting experience, Teng Jianghe, nicknamed “Tiger”, said he was honoured to join Team Sanya, the first Chinese yachting team to compete in the Volvo Ocean Race. “Tiger has impressed everyone in the team from day one. He is determined, focused and has an endless hunger to learn everything he can – both on and off the boat," said Mike Sanderson, the New Zealand skipper of Team Sanya. "I hope that many Chinese people will become inspired to learn to sail through my experience and I also hope that we can encourage many people to visit the tropical destination of Sanya by promoting the profile of Hainan and Sanya through our beautiful race boat colors."